First Lines: No one called me Kira anymore. I don't know how else to start apart from. I LOVED THIS! I hope that's not too over the top. This has got to be the first book this year, I've been able to sit and read within a few hours because I was so completely absorbed in the story that I refused to put it down. I loved Open Minds but I must say Susan has outdone herself with Closed Hearts. Once again I fell back into the world of the mindjackers so easily that it was hard when I'd finally finished because I would have loved to have kept reading and reading. Living with the aftermath of outing the Mindjackers Kira is forced to move with her family and live under an alias. The good work she thought she was doing to help other mindjackers has blown up in her face and now she is one of the most hated people out. Most jackers move to place now named Jackertown where it is not safe at all for mind readers and especially Kira. I loved how we are introduced to so many new characters including Julian and Ava, as well as some loved and not so loved characters from book one. Kira/Lucy has still got to be my most favourite character though. She shows throughout the book and a strong loyalty to her family and Raf the one she loves. I must admit there is an OH MY GOD! moment in the book which I shall not name.. but it had me brought almost to tears and while I was shocked at this part I can honestly say it gives the book a certain Wham! that will push anyone into pleading for the third book early! Closed Hearts is another great instalment into the Minjackers trilogy and I look forward to reading the third and last book. If you liked Open Minds I'm sure you will love Closed Hearts!! 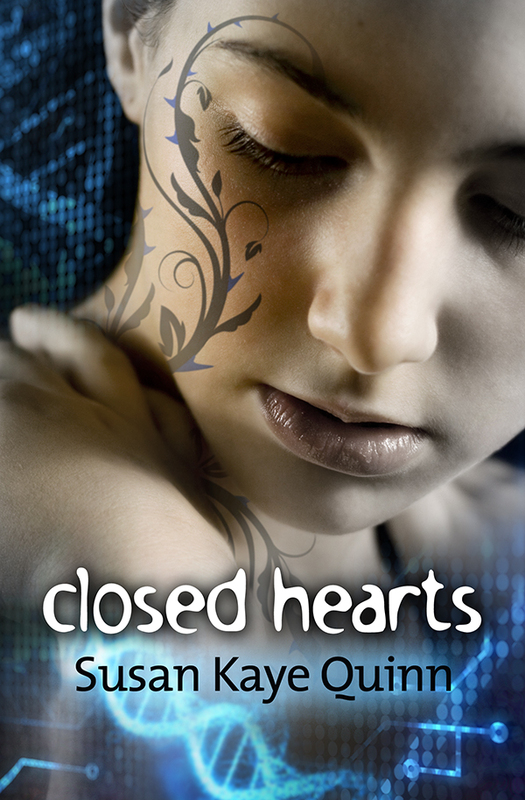 To win a e-book copy of Closed Hearts all you need to do is comment below and check on the 10th June 2011 to see if you have won. Please be sure to let me know in the comments for the Optional Extra Points! 5/23. Susan's business card says "Author and Rocket Scientist," but she mostly plays on Twitter, Facebook, and Pinterest. Erasing Time by C.J. Hill sounds pretty awesome. This one doesn't come out until 28th August 2012. So keep an eye out! 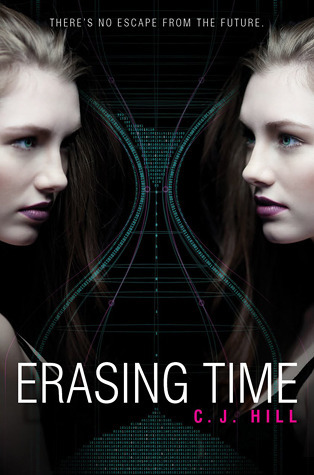 Pre-order Erasing Time at Book Depository! For those of you that have noticed, I haven't been posting up as much as I used to. I want to explain why. A lady from work has left and I've been moved up into her position. Promotion some say, I say holy dooly I'm in over my head. It means I'm working longer hours and have less time to post as often. While I'm still settling in to this position I'm going to do my best to keep regular posting. Unfortunately My Alter Ego Charlie has gone on the back burner for the time being. I will also try and post on there a bit more regularly once I'm into the swing of things. Hope everyone understands. I refuse to give up blogging so I'm going to make this work. Loved these books so far and looking forward to this one! First Lines: I've been awake here since lights out, wondering how to lay all this out for you. A psychopath... an empath... a genius. Three siblings who will save the world – or destroy it. They know nothing of each other. They know nothing of the Telling. 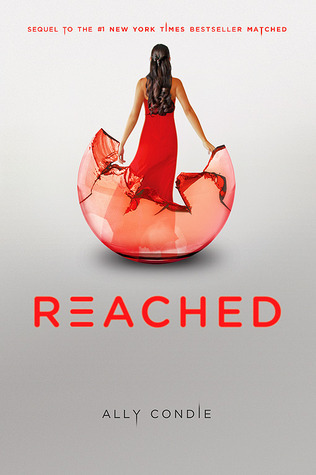 I really liked how the synopsis of this is short, not too revealing but really draws you in. Line one, A psychopath... an empath ... a genius. That alone made me want to find out so much more. 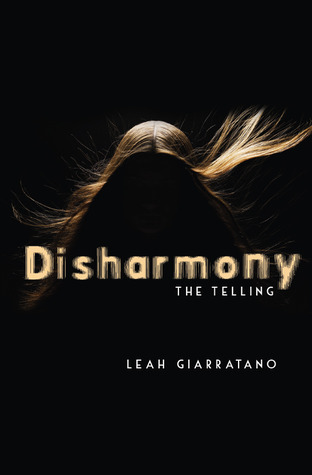 I think the biggest thing I noticed with this story was how well Leah has done with characterization. I suppose being a clinical psychologist would have been a major plus when writing stories. I can say I haven't read any of her other books but I'm willing to go out and buy them knowing that I will have characters that will jump out off the page and draw me in. Even the minor characters stood out for me as well. I did have a little surprise about halfway through the book. This has a bit more of a paranormal aspect than I initially realized. This is a good thing! I have high hopes for this new series and I think book 1 has given us a glimpse of what is to come. I can't wait. Anyways without saying too much else, if you're looking for a book with a great story line and awesome characters give this a go. I've definitely found myself another author I want to be keeping tabs on. Prizes are: 1 winner will win one copy of an ebook from Annie's Back list and one winner will win Stephanie's Unraveling Midnight. All you have to do is leave a comment on the blog post. Visit the 5 other blogs also doing Blitz's Day for more opportunities to win. 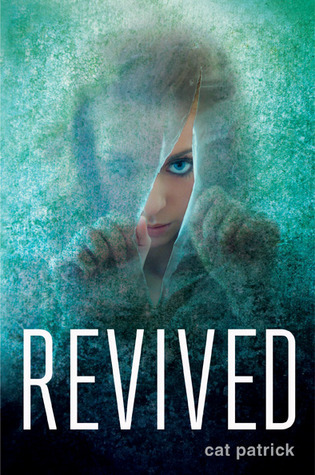 Annie Nicholas writes paranormal with a twist. Her stories are off the beaten path as she creates romantic, suspenseful, attention grabbing fiction. She hibernates in the rural, green mountains of Vermont, where she dreams of different worlds and conflicts to pit her characters against. Mother, daughter, wife are some of the hats she happily wears while trudging over the hills and dales of her adopted state. The four seasons an inspiration and a muse. An entanglement with a werewolf brings unexpected turns. Scott, a lone werewolf expelled from his pack, bends over backward to give his kids everything he can - including knitting lessons for his daughter. Learning to knit becomes much more appealing with Lucy Jamieson as the teacher. His heightened senses tell him the compassionate and beautiful human might be what he and his little band need, yet getting involved with Lucy means exposing her to his paranormal reality. Although Lucy's childhood skewed her expectations of family, she recognizes and respects Scott's desire to protect and provide for his kids. When Scott is hit by a truck, Lucy offers to help with the kids--and gets more than she bargained for after learning Scott's true nature. Scott still rested when Lucy turned on the little lamp beside the loveseat on the opposite wall of the room. He was so big, yet on the couch, he looked smaller. Pain did that to a person and her heart broke a little. She wished she could do something for him. She twisted the metal cap off the beer bottle and tried to be quiet, but it hissed when it released. Scott’s eyes flew open and she wished she’d grabbed a glass of water. He looked a little off, but she couldn’t quite place what was wrong. Were his eyes blurry? “I feel funny,” he said, his grin cockeyed and adorable. Cute or not, warning bells went off in Lucy’s head. The fever had to be loosening up his tongue. The stoic, tough Scott she’d known so far wasn’t so chatty, but still, it was incredibly nice to hear his silly words directed at her. Her confusion at his odd words was probably the reason she let herself be tugged down to sit on the sofa near his head. In a flash, he had his head docilely in her lap and the crazy talk was done, Scott back to sleep. She sighed. How she got herself into situations like this, she’d never know. Maybe she was too nice. She should have been more firm with Scott. If she had, she’d be enjoying her beer. She rested her hand on his shaved head. It was a little warm and since it seemed to soothe him, she stroked her hand from his forehead to his neck. She had to admit the change of seating wasn’t that bad. If she were across the room in her chair with a beer, she wouldn’t be touching Scott. The unexpected tradeoff was better than she’d have thought. He was softer than he looked and even though he always said she smelled good, he was the one who really smelled different. A really wonderful different. Even before she understood what all the thrusting meant, Stephanie Beck loved reading romance. When the stories didn’t end the way she wanted, writing her own was the perfect solution. From ridiculous humor to erotica, Stephanie loves being transported within a story. When she’s not elbow deep in words, her husband and three beautiful command her attention. After they are sleeping she knits or bakes cookies...or squeezes in more writing. 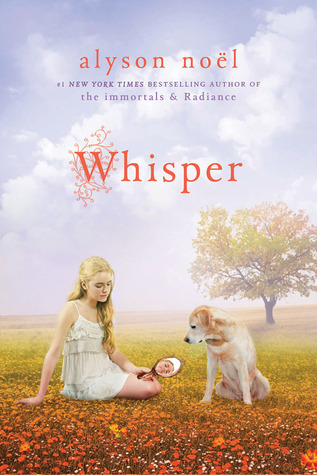 Book 3 Reached by Ally Condie will be out in November of this year. I love the cover and can't wait to see where this story goes. In this gripping conclusion to the #1 New York Times bestselling Matched Trilogy, Cassia will reconcile the difficulties of challenging a life too confining, seeking a freedom she never dreamed possible, and honoring a love she cannot live without. What did you get in your mailbox?? 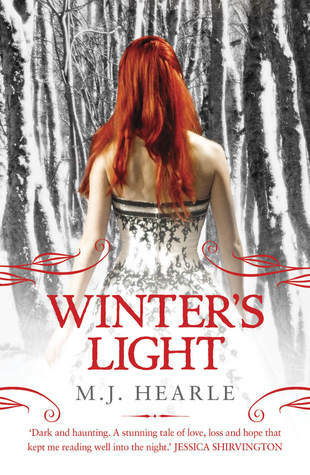 I absolutely love this series and can't wait to read this book!! 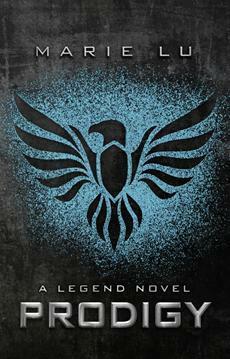 I can't wait for Prodigy by Marie Lu, the second book in the Legend series/trilogy. This will be out early January 2013. Such a long wait! Military-trained whiz kid June and Robin Hood-esque Day met in the first book, and now are off from Los Angeles to Sin City in Prodigy (G.P. Putnam's Sons), out in bookstores Jan. 29. The Elector Primo of the Republic has died, with his son assuming power over what's left of the USA's West Coast as it teeters on full-blown chaos. June and Day join up with Patriot rebels so they can rescue Day's brother and head east for the Colonies. In order to help, though, the rebels want June and Day to kill the new Elector, who may be a step up from his dad. Pre-order Prodigy at Book Depository! I just received this book in the mail today and wanted to share the book trailer with you all. Hope you enjoyed it as much as I did. I can't wait to get started reading this one. It sounds really cool! Thanks to the awesome Laure from Hatchette Children's Books, here is the last excerpt of Slated by Teri Terry. I hope you all have enjoyed the excerpts and want to get the book I've read it and loved it! but I angle the sketch away. ‘It won’t be long now,’ I say, glancing back at Amy and then down to my drawing, for a few final strokes of my pencil. The door opens but I don’t look up. ‘Are you girls ready for breakfast?’ Mum says. I say, and put the pencil down. ‘Let me see!’ Amy springs up, and Mum walks over. ‘That is so good,’ Amy says. Breakfast is pancakes. Eaten with butter melting in streaks, and syrup, or strawberry jam. I try both, together: very nice. Mum says. My sketch of Amy is on the fridge with a magnet instead of a frame on the wall, and Mum has reverted to her pointy self. I do the math. Amy is going to school, Dad’s at work: that leaves Mum and me for the whole day. books, uniform. She is in her last year of A-levels. At nineteen she should be done, at university, studying nursing like she wants to, already. But she needed an extra year to catch up. 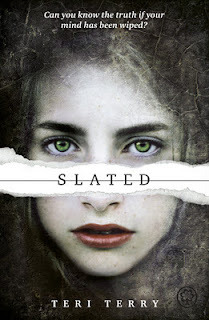 And she was fourteen when she was Slated. I’m sixteen now. How many extra years of school will I have? ‘You can wash up,’ Mum says. So this is washing up. I carefully clean a plate of the sticky remains of pancakes and syrup, rinse it and put it in the rack. I stop, and look around. Plates, then cups. This isn’t so bad. I speed up and Mum starts wiping them with a towel. Amy rushes down the stairs as I start on the cutlery. I gasp, and look down: a thin line of red drips from a knife clasped in my right hand. a sheet of kitchen paper. I do, and Amy rubs my shoulder and looks at my Levo: 5.1. ‘Doesn’t it hurt?’ Amy asks. stare, fascinated. Bright red soaks into the kitchen paper, slows, then stops. ‘Just a nick,’ Mum says, peeling the paper back to look. ‘The nurse can check it later. She’s all right, Amy. Mum wraps a bandage around my hand as Amy bounces out the door. Mum smiles. So many things to remember. Nurse Penny unwraps my hand later for a look. She splashes some yellow stuff on my hand that smarts and makes my eyes water, then wraps it up again. ‘Well, she’s probably never cut herself before. Huh. Love it when people talk about me as if I’m not even there. ‘Excuse me.’ I smile my best well-adjusted smile. ‘Don’t worry about that yet, dear,’ Penny says. ‘Excuse me.’ I smile again. ‘A genius then, are you?’ Mum says, with a look on her face that says I’m quite the opposite. Penny pulls a netbook out of her bag. Frowns and taps the screen on the side, then runs her finger across the screen, searching files. She shuts her netbook and turns back to Mum. ‘Excuse me.’ Even to me my smile is starting to feel stretched. Dislocated. ‘What is it this time?’ Mum says. Penny raises an eyebrow. ‘Oh, you do, do you? She turns back to Mum. I cross my arms. Kyla will adjust: what about everyone else? ‘She had a nightmare last night,’ Mum says. Penny opens her netbook again. Asking me might be an idea: I am the one who knows all about it. The smile slips from Penny’s face. ‘You see what I’m up against,’ Mum says, and sighs. I shut the door, hard, and plonk myself down on the bed. No sign of Sebastian, and it is two long hours before Amy gets home. my thumb and index finger, just where I cut my right hand, the hand I draw and write with. Time for an experiment: pencil in the left hand. It feels awkward at first; wrong. I do a few quick sketches and it starts to loosen up, but I can’t shake the feeling of wrongness, an edge of fear almost, that something will happen if I continue. A fresh page: who first? Dr Lysander. Getting her right is all about the eyes. Tricky eyes, she has; mostly shielded and cold, but she peeks out now and then. When she does she seems more startled about it than I do. I begin, hesitant at first with an unfamiliar hand. Line, shading, all. Faster and surer as confidence increases. Dr Lysander begins to look back at me from under my pencil. Goose bumps rise along my arms, my neck. I draw much better with my left hand. 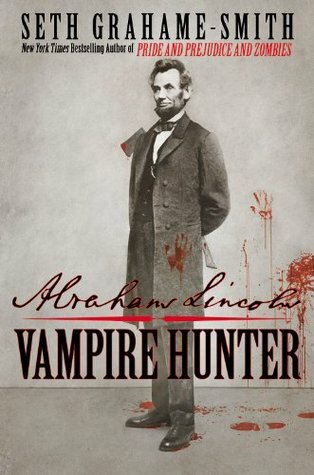 I came across this the other day and just love the cover. 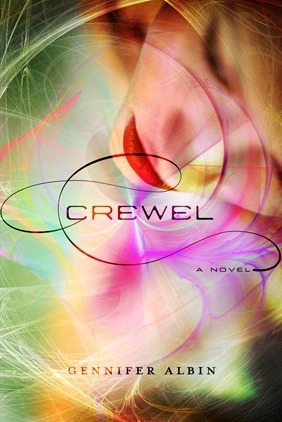 Crewel by Gennifer Albin will be released 16th October 2012 and I can't wait. Pre-order Crewel at Book Depository! First Lines: I run up the dunes with the wind howling at my back, my ears burning from its bite. And this person you like is unattainable. Except for one thing . . .
Abbie has three obsessions. Art. The ocean. And Kane. But since Kane's been back, he's changed. There's a darkness shadowing him that only Abbie can see. And it wants her in its world. I'm a fan of Kirsty Eagars. I've read everything she's written so far, and this is by far my most favourite read.. There's moments that cause goosebumps rising up my skin and other times I'm shaking my head thinking of the times I had been there once.. feeling the same things Abbie had felt. Abbie is a girl that I could totally relate to. She has a major crush on Kane and I'm sure most of us have been there feeling exactly the same as Abbie. She's vulnerable, passionate about her surfing and art and totally head over heels for Kane. And he knows it. Up until a certain point Abbie is under the impression that Kane doesn't know she exists but when he comes home from his trip away he is a different person. And maybe not for the better. Of course, we wouldn't have a good story without having the main character being curious and Abbie is trying her best to work out what is going on with Kane. Kane is alluring and a perfect portrayal of a few aussie guys I know. Abbie puts Kane up on a pedestal of sorts and as a reader I could see why her encounters with him had her so hooked on him. It was kind of scary how past experiences for me lined up with the things that Abbie did. 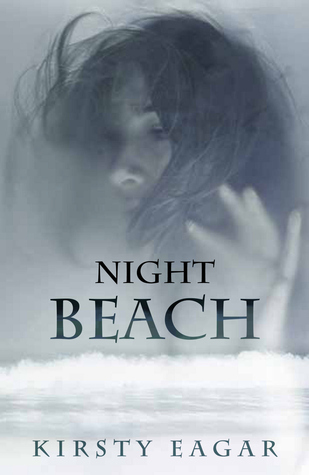 If you want something truly aussie to read with a great spooky twist be sure to pick this up!